for Odyssey, Mars Reconnaissance Orbiter and MAVEN, respectively. 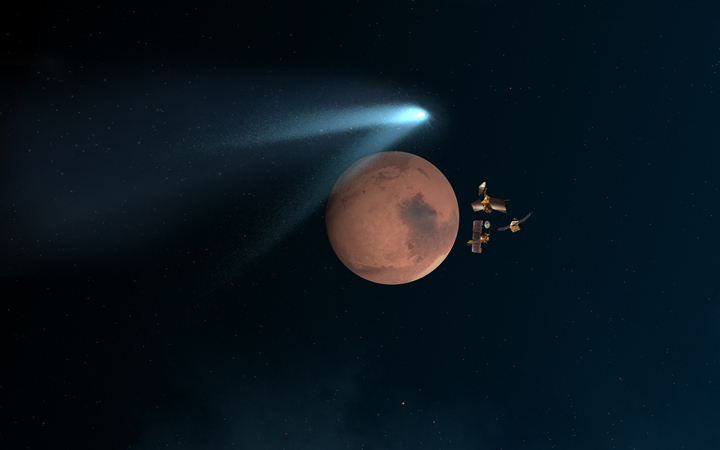 Illustration of spacecraft behind Mars as a comet flies by. Image credit: NASA.